VIEWS! ESTANCIA Penthouse Suite with vaulted tongue & grove wood ceiling. With spacious living room, three En-suites, Stainless Steel Appliances and granite counter tops. 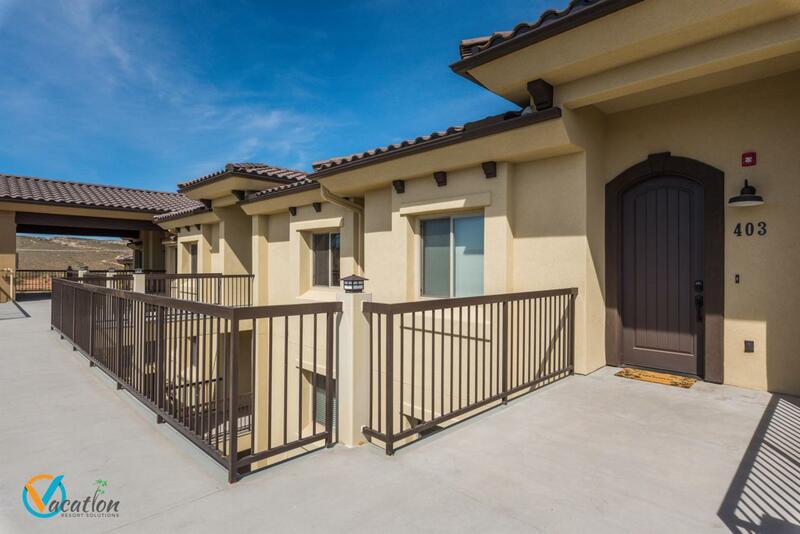 This property is zoned vacation rental with unobstructed views of the Red Mountains! Pool Views! Excellent opportunity for income and use. Please call for a private showing. Listing provided courtesy of American Realty Of So Utah Pllc. © 2019 Washington County Board of Realtors MLS. IDX information is provided exclusively for consumers' personal, non-commercial use and may not be used for any purpose other than to identify prospective properties consumers may be interested in purchasing. Information is deemed reliable but is not guaranteed accurate by the MLS or Remax First Realty. Data last updated: 2019-04-22T10:48:42.27.